The big four mobile carriers officially flipped the switch on Text-to-911 service yesterday, giving you the ability to reach nearby emergency services by sending a text message. The new service will almost certainly wind up saving lives, but before you use it, there are some very important limitations to Text-to-911 that you need to know. Text-to-911 is not meant to be a replacement for calling 911 when it’s possible do to so. Typing is a slower way to relay information than talking, and unpredictable network delays could keep an urgent text from reaching a call center quickly. Secondly, while Verizon, AT&T, Sprint and T-Mobile have all completed the system on their ends, some local emergency dispatch centers may not be able to handle Text-to-911 requests immediately at launch. Text-to-911 won’t work if you’re roaming, either, so keep that in mind when you need assistance in remote areas. 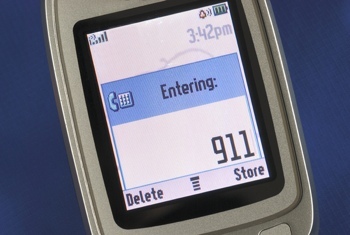 You will receive a response text message if Text-to-911 is not yet available in your area. Like when you call 911, sending a text message to 911 also gives emergency operators your basic geolocation information. This helps route your request, but you’ll still need to give the operator your exact location by text for on-scene help, so try to have the name of the closest intersection or mile marker number handy. For more information on the nationwide Text-to-911 launch in the U.S., check out the FCC’s Text-to-911 website.